Want to lose weight and keep away diseases? Just walk! It improves your overall health and can also increase your stamina, strength and endurance. HYDERABAD: Are you trying hard to lose those ten kilos or still killing your body with those crazy diets? Have you given a thought to take up walking to lose that weight? Well, it is never too late to try now. 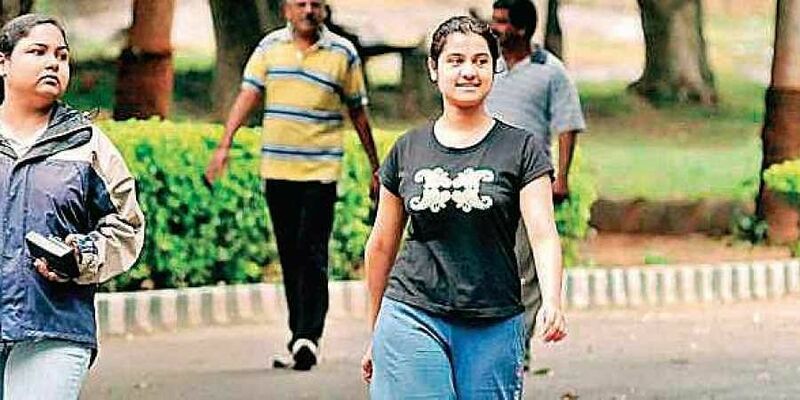 Walking is not just good for losing weight but also helps in lowering blood pressure, managing diabetes and fighting joint problems (arthritis). It also helps in keeping you away from depression and is believed to be the best exercise by most doctors. It is one of the easiest exercises to do and doesn’t take more than a pair of shoes to start. Ideally, if you loathe running or can’t stand working out in the gym, walking is the best way to get fit. It reduces the risk of several diseases and unlike other forms of exercise, it doesn’t require an instructor or training, can be done anytime and anywhere. It is great for kids, adults and is recommended for the elderly too. Hippocrates II, the Greek physician, recognised walking to be a man’s best medicine. It improves your overall health and can also increase your stamina, strength and endurance. Cuts belly fat: Regular walking is a great exercise to burn fat. In a majority of cases, body fat is due to lack of exercise and movement. Just 45 minutes of walking burns around 200 calories. Stress, mood and sleep: Walking reduces stress levels and enhances your mood by boosting your endorphins (brain chemicals which relieves you from pain and stress levels). It helps to give you more energy and set a non-stressful environment for your body. Additionally, walking is believed to be beneficial for individuals suffering from insomnia as well. Good for muscles and bones: Regular walking tones your leg muscles and strengthens your bones. It can prevent the loss of bone mass caused due to osteoporosis, which is a form of arthritis in which bone becomes weak and brittle. This can also reduce the risk of hip fractures. Likewise, walking also reduces arthritis-related joint pain and can prevent the different forms of arthritis. Lowers blood pressure: Individuals suffering from high blood pressure are at risks of serious health conditions like stroke or heart diseases. Walking is the best form of exercises known to maintain blood pressure at normal rates.Taking a walk three times a day is considered to have the same effects on your blood pressure levels as 30 minutes of intense workout. Walking and diabetes: Walking helps in lowering blood sugar levels and improves the ability of the muscles to absorb glucose and the body to use insulin, thus, preventing the overall risk of Type 2 Diabetes. The writer is CEO of GOQii, a preventive healthcare ecoystem.